Rose Snyder is a graduate of Northeastern Christian College with an Associate of Arts Degree specializing in Early Childhood Education and Eastern Mennonite University with a Bachelor of Science in Management and Organizational Development. With over 35 years of early care and education leadership experience, Rose joined the Pennsylvania Association for the Education of Young Children (PennAEYC) team in 2012. 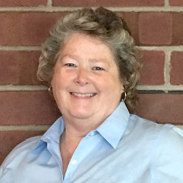 Prior to joining PennAEYC, Rose served 23 years as Director/Administrator for Hildebrandt Learning Centers, LLC at Masonic Village in Elizabethtown PA. As the leader of a dedicated team of professionals, Rose and her staff achieved and maintained NAEYC Accreditation for more than 15 years. Additionally, Rose has served as a Mentor for child care directors and providers the Lancaster area as well as being a PQAS certified trainer in Pennsylvania delivering professional development across PA.
Rose, serves the Lancaster early care and education community through her active participation in the Lancaster Chapter of PennAEYC. Rose has also served on the Pennsylvania AEYC Board of Directors as Vice President of Membership and Vice President of Development. Rose and her husband Terry are the proud parents of Samantha and live in Elizabethtown PA.